Learn about our upcoming education sessions, new members, and more! These specialized one-day education sessions focus on the best practices of collaborative delivery methods and the preparations required for successful design-build of water and wastewater infrastructure projects. WDBC’s sessions employ an experiential learning process – where an actual project is used as a model for each of the steps required from planning through implementation. Attendees’ learning needs are supported through information provided from a pre-session questionnaire. These sessions are designed specifically for water and wastewater utilities and agencies – addressing the procurement and contracting practices for fixed-price, progressive design-build delivery, and construction management at-risk (CMAR). Registration includes the Water and Wastewater Design-Build Handbook, a workbook with procurement and contracting updates, a CD with copies of all three procurement guides, continental breakfast and lunch. Because of the demand, two days are on hold for each session if needed. The Stantec community unites approximately 22,000 employees working in over 400 locations across 6 continents. They collaborate across disciplines and industries to bring buildings, energy and resource, environmental, water, and infrastructure projects to life. Stantec’s work—engineering, architecture, interior design, landscape architecture, surveying, environmental sciences, construction services, project management, and project economics, from initial project concept and planning through to design, construction, commissioning, maintenance, decommissioning, and remediation—begins at the intersection of community, creativity, and client relationships. Visit Stantec at stantec.com or find them on social media. 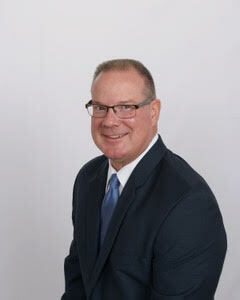 Representing Stantec on the WDBC Board of Directors is Michael B. Watson, PE, Senior Vice President and Director of Alternative Project Delivery for the water sector. Based in Sacramento, California, Mike draws on the global resources and talents of the company to create high-performing design teams who partner with contractors and developers to successfully deliver design-build and P3 water and wastewater treatment, water resources, and conveyance projects across North America. Prior to this position, Mike was the West Division Director for MWH Americas Engineering and Technical Services (ETS) with P&L, revenue growth, and project delivery responsibility for a $150M per year, 500-person professional services unit. He specializes in team-building, strategic pursuits, risk management, claim management and negotiations, and executive engagement. Collaborative delivery is becoming increasingly common in the water/wastewater industry; not just an “alternative” method. 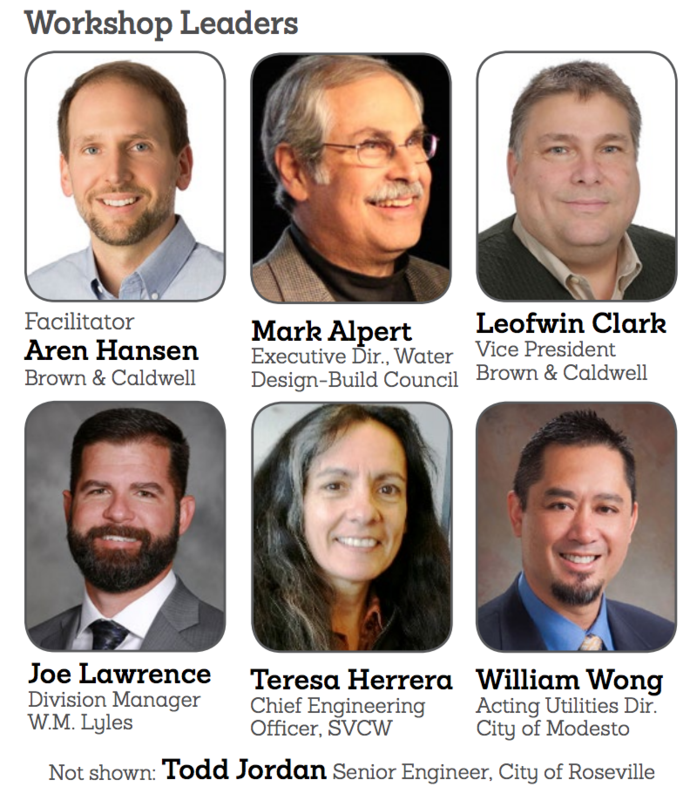 This hands-on workshop will provide attendees a sound introduction to collaborative delivery including design-build (fixed-price, progressive), construction manager at-risk, construction manager/general contractor, public-private partnerships, etc. We’ll learn all about how to select a method and deliver a project successfully. Each attendee receives the Water and Wastewater Design-Build Handbook, published by Water Design-Build Council. Evaluate projects to see if a collaborative delivery approach would benefit them. Experience Level: Introduction to topic / limited knowledge of subject matter / need to prepare for upcoming projects.